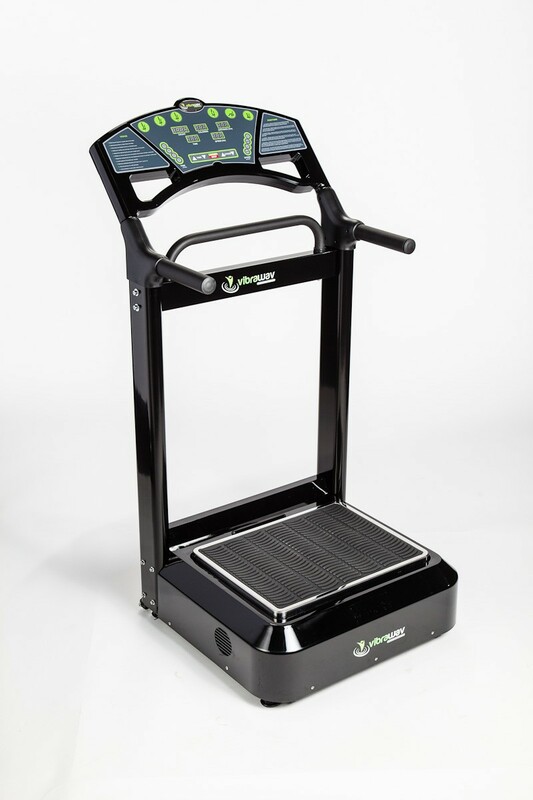 Your simple solution - whole body vibration therapy! 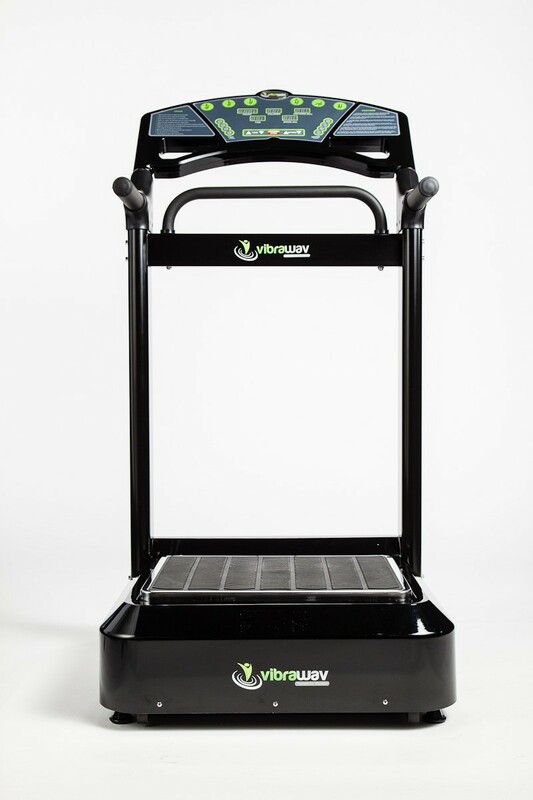 • Oscillating Vibration - The plate movement is driven by a toggle mechanism that vibrates the left and right sides of the plate independently, which is also sometimes described as a “teeter-totter” motion. 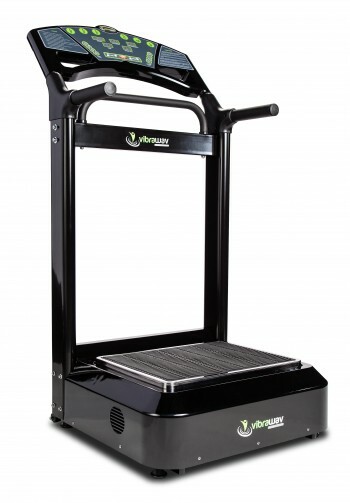 This is the type of vibration of the VibraWav Pro. • Vertical Vibration - The plate movement is straight up and down in a unilateral motion. 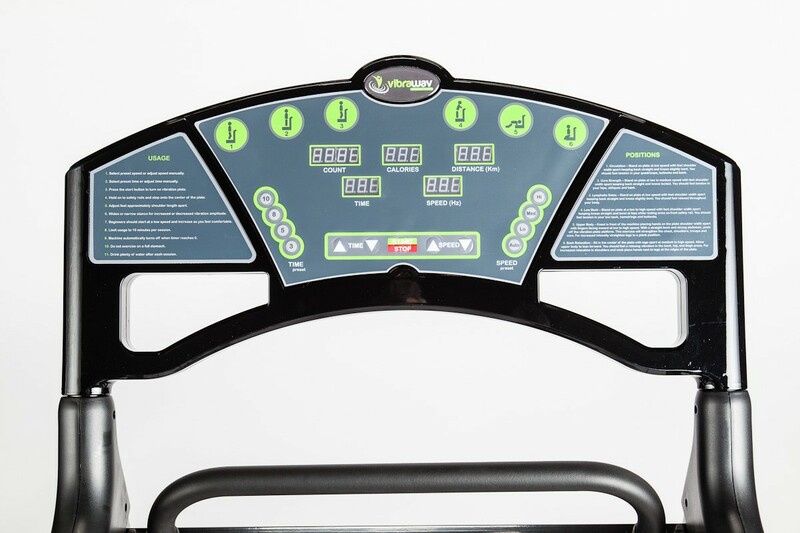 • Elliptical Vibration - The plate movement is created by a vertically placed motor that has uneven centrifugal plates attached to it. This produces an elliptical motion of the platform which is the mildest form of vibration out of the three types. Excellent customer service and super fast shipping We love our VibraWav Thank you !!! My Vibrawav has bettered my life. I'd never be without it!! High quality machine I've been using daily for several months now. Haven't had a single issue. Seeing great benefits with my overall health since started using the vibrav. Highly recommend this product and company. Wow! I can't say enough amazing things about my Vibrawav. I use it every day and have never felt better. Love the product. Use it daily. Very convenient instead of going to the gym. Great machine . Also great to get on when you have a cramp in any part of you leg. Love that it only takes 10 minutes a day! I love my VibraWav. I sit at my desk all day making my muscles feel stiff. I go home and get on my VibraWv for 10 minutes and my muscles do not feel as tight. we would like to see the product made a little more sturdy. we dont overuse it but ours has broken 2x------- once it has been replaced and once we fixed it ourselves. very good unit when it is running properly! VibraWav Pro is great for my back. Holds my adjustments longer after visiting the Chiropractor. I love my Vibra Wav!! I have lost 1/2 inch off my thighs and 1/4 inch off my upper arms.I am much more toned and people have noticed. I have had the Wav for 7 weeks.